Hey everyone and welcome to the TENTH! installment of the KHV Weekly News Report! Hey everyone and welcome to the eighth installment of the KHV Weekly News Report! Sorry for no news report last week, there just wasn't enough news. This week's news starts at 0:30. 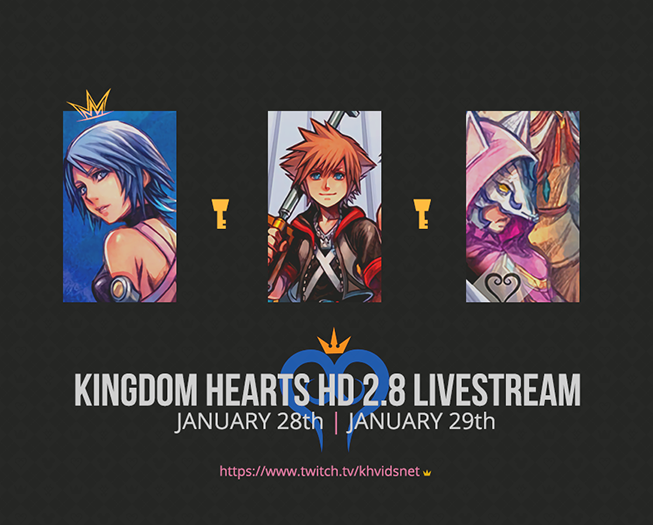 Community KH-Vids' Kingdom Hearts 2.8 Community Livestream Schedule! Hey everyone! As was announced Saturday of last week, the KH-Vids staff is going to be streaming Kingdom Hearts HD 2.8: Final Chapter Prologue this weekend! We've been super excited to start, and have been preparing behind the scenes to get ready. We will be streaming on both Saturday and Sunday. 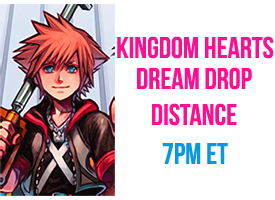 On Saturday at 7PM EST, @Cat~ will be streaming Kingdom Hearts Dream Drop Distance, with commentary provided by her, Heart, and Karuta. On Sunday, Plums will be streaming Kingdom Hearts X: Back Cover at 12PM EST (with no commentary). 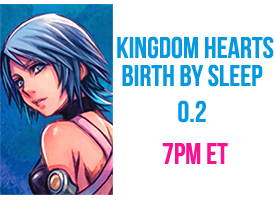 Later that night, Plums will stream Kingdom Hearts 0.2 Birth by Sleep: A Fragmentary Passage, with commentary from Plums, Heart, and Fearless at 7PM EST. 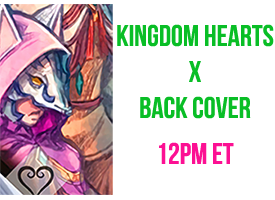 For the streams, you can reach and follow our Twitch channel at the following link: KH-Vids Twitch Channel. Additionally, you can click the header image and it'll bring you right to our Twitch channel! Hey everyone and welcome to the seventh installment of the KHV Weekly News Report!